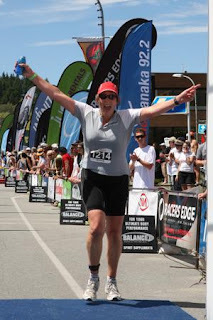 Dunedin super woman Shona Carruthers completed her first 1/2 Iron man at Challenge Wanaka. 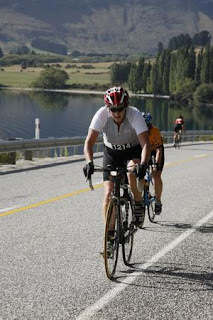 After deciding to 'do a few' triathlons after ticking off the Coast to Coast 2day individual event in Feb 2009, Shona put in the hard yards and stormed through her first 1/2 Iron man blowing away every ones (including her own) expectations. Shona sets herself BIG goals a with a lot of hard work and determination she always gets there. 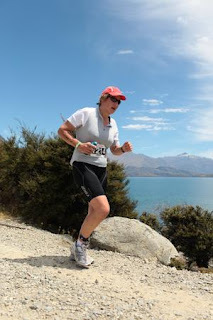 One goal that she missed out on last year was completing the Kepler ultra marathon due to the race selling out and her not making it off the waiting list. However I think 2010 will be her year to nail the Kepler.